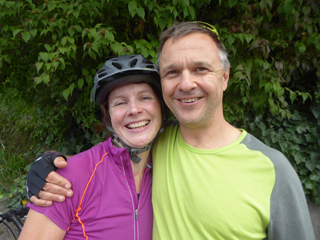 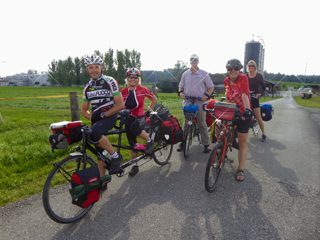 After five years, it was time to bring a few cyclists together again. 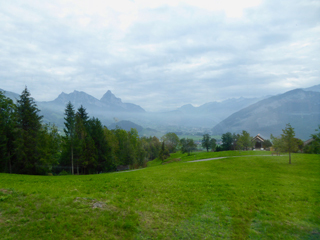 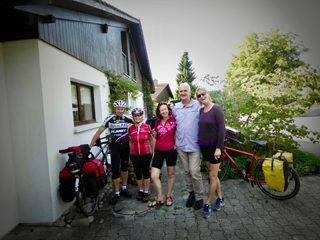 Centrally-located Canton Zug was the chosen destination for this reunion. 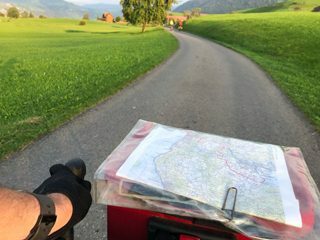 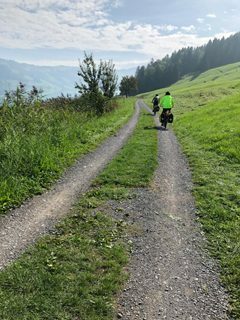 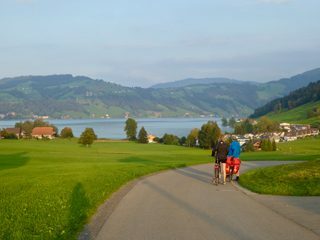 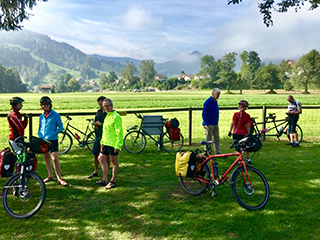 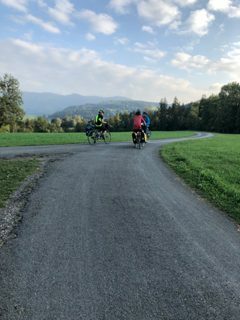 We started in Zurich and everyone joined at various points along the route to the beautiful Aegerisee. 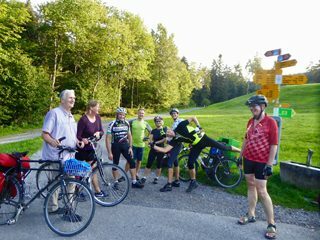 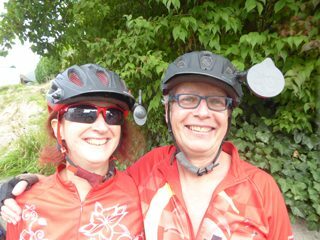 The weather was perfect and we concluded that spending a weekend with friends on bikes is something we should do more often! 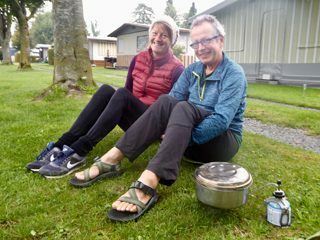 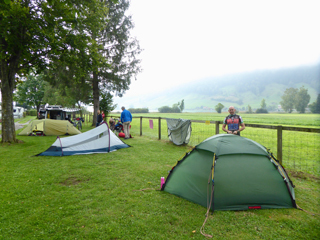 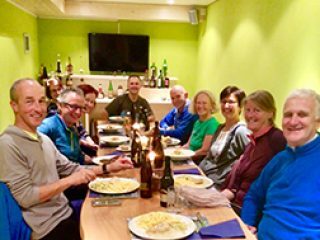 Camping Unteraegeri offered spacious sites, reasonable menus and a friendly service, which we can highly recommend. 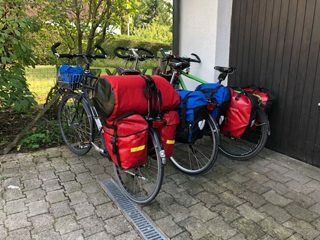 It was all happening in Aegeri that weekend. 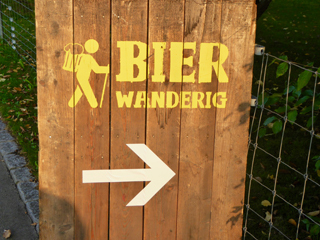 Groups of cheerful hikers staggered from pub to pub on a well-signposted hiking pub crawl. 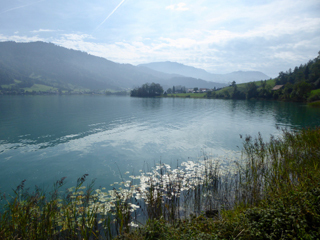 For 55 CHF participants could taste 25 Swiss beers at 9 different locations around the lake. 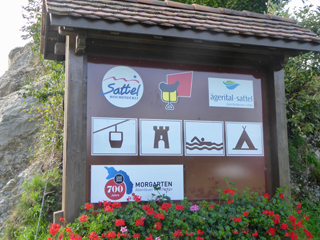 The full itinerary was estimated to take 6-7 hours, with 2 hours of hiking thrown in for good measure!